soybean export markets are increasingly important to Canada. We export between 50 and 70 percent of our total production each year, and that amount is going up. Understanding the changes in global demand helps Grain Farmers of Ontario focus its market development efforts and trade missions, such as the recent trip to Asia (detailed on page 12). Industry and government partners help to provide key insights into these markets also. “Between 2008 and 2012, exports by volume increased by about 90 percent, and exports as a percentage of total production has continued to rise,” says Ken Hester. Hester is a sector specialist with Agriculture and Agri-Food Canada (AAFC), who has recently done some calculations on Canadian export markets using data from Statistics Canada. Hester notes that Asia now represents our largest export region, at about 43 percent by volume of total exports in 2012. Exports to Asia increased about 97 percent between 2008 and 2012, with a significant jump in 2012. When comparing export markets on a price received per metric tonne (pmt) basis, it is clear that Asian markets provide higher value than markets elsewhere, Hester explains. “Asian countries provide an average of $634.67 pmt ($683.04 if you exclude China), with Japan, South Korea, Thailand and Taiwan all above $700 pmt,” he says. “Compare that to the US at $567.83, the EU at $586.25 and Middle Eastern/North African markets at $571.42.” This is likely attributable, in Hester’s view, to higher-value products such as non-GM IP food grade soybeans being a larger portion of total exports in Asia versus the situation in other markets. TABLE: STATISTICS CANADA DATA ANALYZED BY KEN HESTER, AAFC. The explanation for why certain Canadian soybean export markets will grow over others comes down to a combination of quality standards, identity preservation demand and total value proposition, notes Dave Buttenham, Secretary-Manager, Canadian Soybean Exporters’ Association (CSEA). 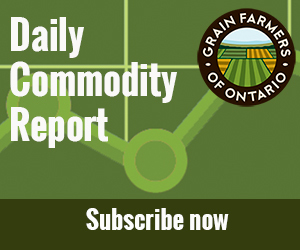 Hester says opportunities for Canadian growers related to speciality production, such as non-GM soybeans, will continue to remain strong in markets such as Europe and Asia, given well-established preferences from many segments of the value chain. Secondary markets might include opportunities in South East Asian markets and European markets looking for various specialty types for food or feed uses. Other countries are selected for programs based on a number of factors; including Statistics Canada soybean export numbers, export trends, soybean market overviews on each country provided by AAFC and trade commissioners, and critical input from the CSEA.